Celebratory humans around the globe have thrown rice or other grains—harvest-season symbols of fertility and prosperity—at newly married folks for centuries. What does it mean that modern cultures have adapted and now toss brightly colored, shiny bits of paper at their just-hitched loved ones? It means we like to party! Include event specialist Heather Driscoll of Heathoriginal (206-422-2136, heathoriginal.com) in that crowd; for ceremonies, she loves paper cones that are filled with party bits and tied to chair backs so that well-wishers can shower the couple as they exit the aisle. 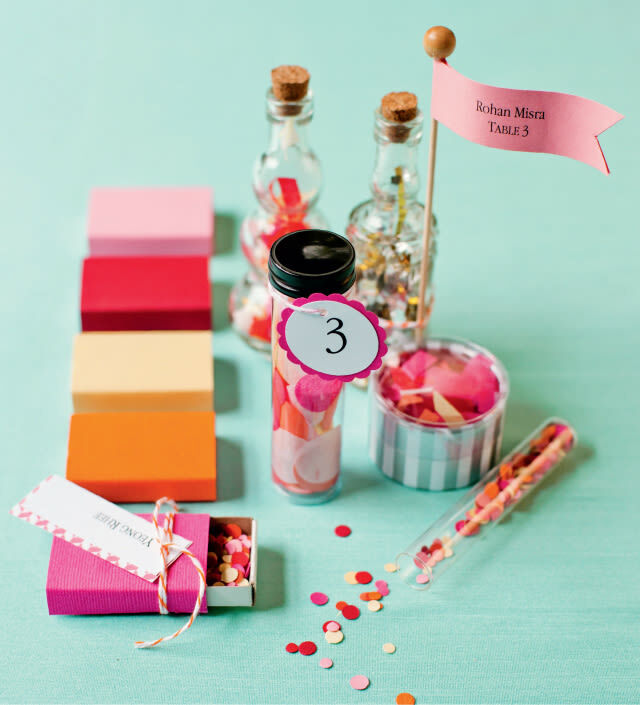 For the reception, try confetti vessels that serve as name cards and take-home favors. Driscoll sourced bottles, jars, and matchboxes at Jo-Ann Fabrics, Packaging Specialties, and Zenith Supplies; card stock and tissue came from paper stores. Going green? She also cut bold circles from a day’s worth of junk mail! 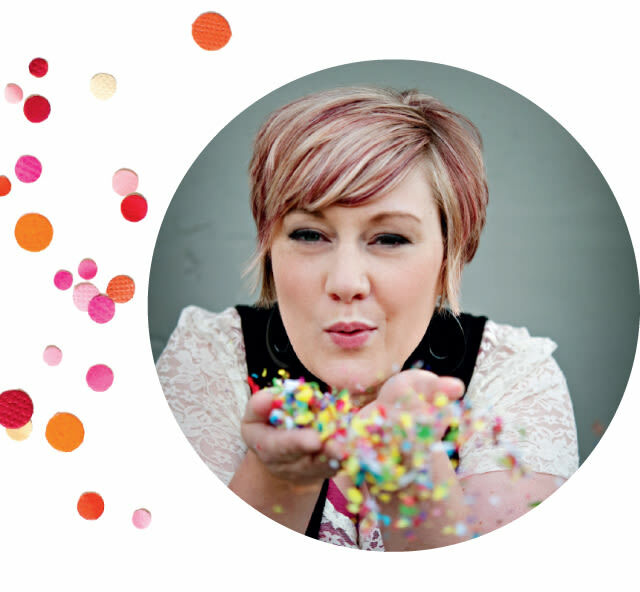 Ever the party-lover, Driscoll suggests getting the gang together to hole-punch, cut, or shred the confetti. 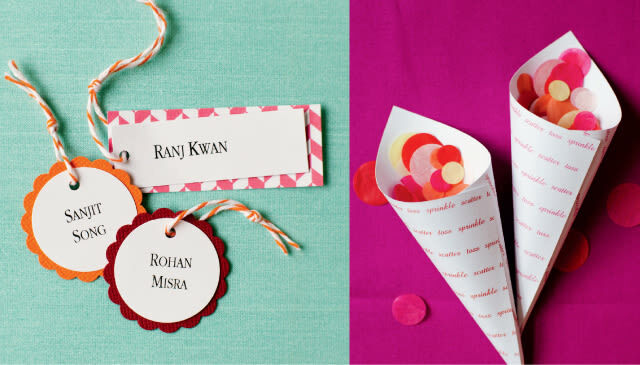 For personalized paper cones, enter special words in your favorite shades and fonts in a word-processing document and print. Cut squares measuring five inches by five inches, roll them into cones, and secure with double-sided tape.